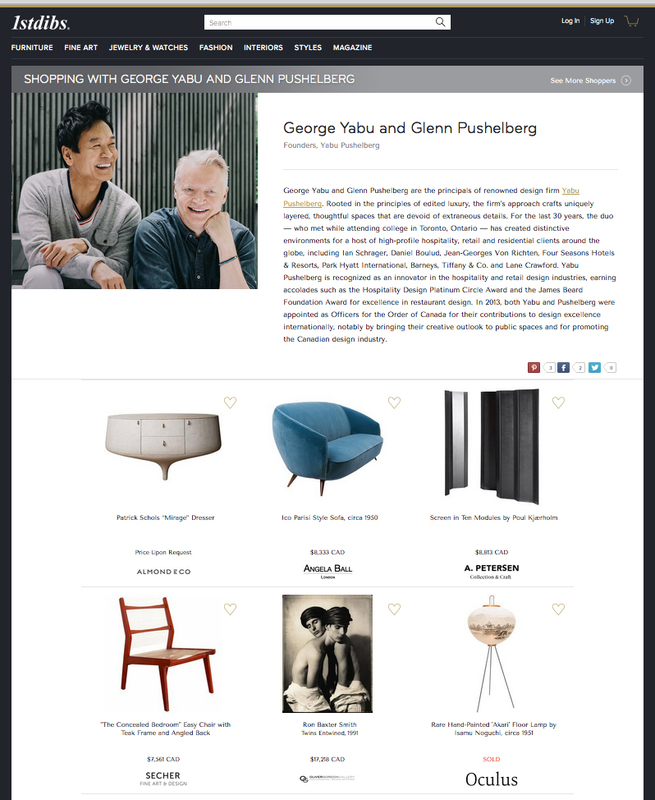 Our dear friends, George Yabu and Glenn Pushelberg are this week’s Saturday Shoppers on 1stdibs. They are intergalactic in their talent and level of taste. Want to make the right choice? Follow their lead. Here they chose one of my photos, “Twins Entwined” that they have had in their personal collection since it was shot in 1991. Have a look at their Saturday Shopper 1stdibs choices and their website at yabupushelberg.com. Thanks Guys.